4 Ideal Dog Carriers for a Jack Russell Terrier’s Personality (and Why)! Few dogs are as distinctive as the Jack Russell, with these mischievous little dogs capturing hearts wherever they go. This breed is instantly recognizable due to their short and squat build and white fur – though they often also have brown markings across their coat. You likely want to take your best friend along with you wherever you go. Regardless of whether you’re visiting friends and family, going to the vets for a routine check-up or you’re planning to take your dog on vacation with you, you’re going to need a comfortable and sturdy Jack Russell dog carrier. But, which style is the best? What size do I Need? We’ll be answering all of these questions (and more) in this in-depth guide. 1 What is the Correct Crate Size for a Jack Russell Terrier? 2 What Are the Best Dog Carriers for a Jack Russell Terrier? 3 What is a Jack Russell Terrier’s Personality? 4 How Long Can You Leave a Jack Russell Terrier Alone? What is the Correct Crate Size for a Jack Russell Terrier? Considered to be a small breed of dog, they typically reach up to 15 inches in height. A healthy Jack Russell will weigh around 14 or 15 lbs. Using the golden rule that any pet crate should allow around an extra 6 inches in height and width to allow your dog to stretch out, your canine companion should be happy in a standard small crate, measuring 24 inches. Technically an extra small crate may also work, especially if your dog is smaller, but this could become something of a tight squeeze. Even though dog psychology teaches us that dogs enjoy a snug space to act as a den, something too small may be deemed restrictive. On the other hand, you could also go larger if you want your dog to have more room to maneuver and play, but don’t use a medium crate. They’ll be sliding around while you’re in motion and that could be highly dangerous for them. What Are the Best Dog Carriers for a Jack Russell Terrier? When it comes to your Jack Russell, is a dog cage ideal? Or should you look into a travel crate for a Jack Russell? As always, there are pros and cons to both options. A dog cage will typically provide your dog with more space and ventilation, allowing them to see everything that is happening around them – something that a curious (some might say nosey) breed like a Jack Russell will thoroughly enjoy. However, you’ll also have to be careful how you use a cage and ensure that your dog considers it a safe haven and pleasurable location, not dog prison for when you want him or her out from under your feet. A plastic or cloth travel crate, meanwhile, will typically be a more snug fit and leave less room for maneuvering and watching the world go by. Depending on your dog’s peccadillos, they may find this to be a blessing or a curse. 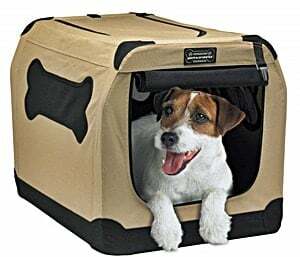 Jack Russell’s may take the opportunity to relax and treat the carrier as their private den, but don’t bank on it. Whatever crate or carrier you decide to use, allow your Jack Russell help you make the decision. It’s safe to say that this breed knows their mind, and they will let you know if they’re dissatisfied with what you’re offering. This 24-inch cage doesn’t offer many frills, but it’s a perfectly acceptable den for your dog to relax in. 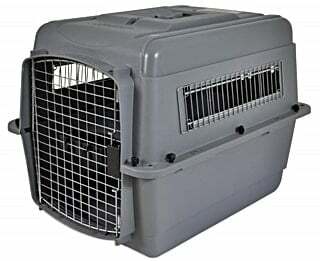 Available in the standard gray as well as blue or pink, and with the option of a single access door or two, the crate is wholly secure and will prevent your pooch from impersonating Houdini while you’re not around to watch their every move. Another advantage of this cage crate is that it constructs and within seconds, with no toolbox required. If you’re looking for something functional but reliable, you could do far worse. Find Out About the MidWest iCrate Home for Dogs on Amazon! If you’re looking for something a little less cagey, maybe this cloth home will be up your street. You’ll be able to set this Port-a-Crate up in the corner of the home for your dog to use as a den or bed, or to keep him or her restrained while on the move. There’s plenty of ventilation within the crate thanks to the mesh fabric windows and door. The solid steel skeleton of the crate will retain its shape, and the cloth is water resistant and designed to easily cleaned in the event of an accident. Check out our guide to how to clean a soft-sided carrier if you need further help with that. The only drawback to this Port-a-Crate is the lack of carrying handles on the 24-inch model, meaning you’ll have to bear the weight burden in your arms. Find Out About the PetNation Port-a-Crate on Amazon! If you plan on boarding an airplane with your Jack Russell, you’ll need a wholly reliable pet carrier that makes the experience as pleasant and painless as possible for your pooch. Thankfully market leaders Petmate have a Sky Kennel that’s ideal for this breed, standing at 28 inches in height. The Sky Kennel is hugely secure, comes with a simple carry handle that keeps the carrier completely mobile, and there’s even space to clip a water bottle inside to ensure that your airborne travel companion doesn’t become dehydrated. The Sky Kennel is approved for use on almost any major airline so you’ll be able to travel with confidence and weighing just 12.5 lbs. you won’t break your back shifting your pet from one location to the next. Find Out About the Petmate Sky Kennel on Amazon! 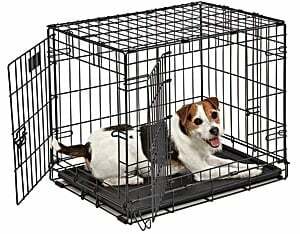 If you’re regularly mobile with your Jack Russell, this cage crate is the perfect solution. 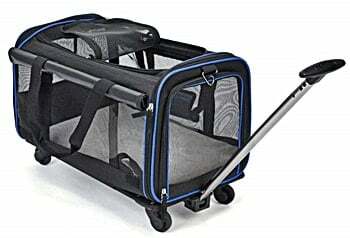 Rather than having to carry a pet crate under your own steam, you can let the trolley-shaped caddy do the work for you by dragging your pooch behind you. It’ll be like taking your dog for a walk without the leash. This cage crate is also lined with a soft, fleeced bottom for any princess pooch that demands the finest comfort, and there’s plenty of ventilation through all the mesh windows and doors. Perhaps the main selling point of the YouThink Cage Crate is its versatility, though – you can remove the wheels if necessary, and use the crate as a car seat, a backpack or even just a bed that your pet can sleep within. It’s not quite as big as some of the other pet carriers on the market, but there’s plenty to love about this particular product. Of course, this just the tip of the iceberg when it comes to the best pet carriers for Jack Russells – and a lot depends on what your pooch finds preferable. Do your research, and try before you buy if at all possible. You’ll want to ensure that your dog is comfortable, and do all you can to train your Jack Russell into loving their crate if they are not going to dig their paws in and refuse to clamber inside. Find Out About the YouThink Cage Crate on Amazon! What is a Jack Russell Terrier’s Personality? Jack Russell’s have character by the bucketload, and these fun-loving furballs will likely become the centerpiece of your family. Hugely energetic. You may look at a Jack Russell and think that something so small is ideal for a quiet life in a small apartment, but you could not be more wrong. They are giant dogs trapped in small frames, and they need a lot of activity, stimulation, and exercise. This is because these canines were originally bred as hunting dogs, which means that every instinct in their body is to get outside and run and chase. You have not seen pure happiness until you have watched a Jack Russell chase a ball! Very intelligent. On top of this, they are also very, very smart dogs. This means that they’ll need just as much mental stimulation as they will physical, so you should consider setting up an obstacle course in your backyard for your dog – and mixing it up regularly, as your pet will soon learn the lay of the land and stop being challenged. The good news is that this makes them eminently trainable, as they’ll understand exactly what you are trying to tell them – in theory. The bad news is that they can be as stubborn as a mule, so if they have no love for the person attempting the training, they may develop selective deafness and behavior in the opposite way. You should also seek the help of a professional dog trainer if your Jack Russell is your first dog, as they can be very demanding and you may need some assistance in getting your message across. Eat a lot. Again, don’t be fooled by the small size of a Jack Russell; that small tummy hides a massive appetite for this breed! All that energy and racing around burns a whole lot of calories, and they’ll need to be replaced. Make sure that you feed them a quality, varied diet, and break his or her food allowance up into two or three meals a day. Need to be socialized from an early age. Perhaps the most important thing to know about this breed is that they can be a fantastic and fun breed to bring into your home – or they can be an obnoxious nightmare on four legs. If left to their own devices, they may bark their tiny heads off, fight with other dogs, behave aggressively towards strangers while out on walks, and lose their minds if they’re left alone and tear the house apart. 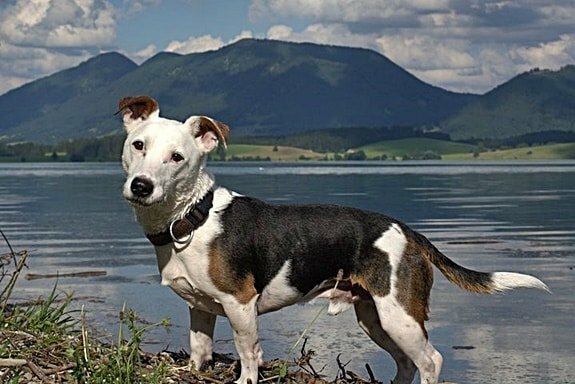 If you decide to adopt a Jack Russell as a puppy and are prepared to put the work in while they’re young and adaptable, you should be able to raise a calm and even-tempered adult dog. If you adopt from a shelter, however, and the animal was mistreated by a previous owner or never trained in how to behave appropriately, you may have a lot of work on your hands. Luckily, we have advice on how to stop dogs barking at night and why your dog is so aggressive to strangers. Follow our advice, and you can ensure that your terrier is a dream to be around. Should always be kept on a leash unless in an enclosed space. This is a tricky paradox to manage, as, on the one hand, your dog needs to run free to burn off that excess energy that they’re storing up. On the other, however, allow them to run free range in a park or the woods and they’ll chase rabbits, rodents, and birds for hours and leave you choking on their dust – and you can forget about them responding to any recall commands as their natural curiosity and desire to explore takes over. These dogs also dearly love to dig, so if you have a treasured lawn in your yard or plan to walk them on a bowling green or sports field, prepare yourself for destruction. Not ideal for homes with young children. This breed is loyal and loving, and can make a fantastic canine companion for an older child that has the energy to match the dog! However, avoid bringing your Jack Russell into a home that is populated with young children. This isn’t the most patient breed of dog in the world, and the pooch may well snap and bite if roughly handled by a young person. It won’t take much yanking of tails, tugging of ears and poking of eyes before it all ends in tears, and possibly a trip to the ER for a tetanus shot. Territorial and jealous toward other dogs. As we have already mentioned, Jack Russells will need to be very carefully socialized from a young age – and even then, they can display unwelcome territorial behaviors towards other dogs and grow jealous if they feel they are not getting enough attention. If you already have a dog of a different breed in your home and are considering introducing a Jack Russell to the dynamic, test the water with some limited, supervised interactions first – and make sure that you read up on our guide as to what to do if your dog attacks another dog for no reason. Also, remember that these dogs are hunters by nature, so they’ll see other small animals in the home as prey rather than companions. If you have a hamster that enjoys breaking free of his or her cage and exploring the house, don’t bring a Jack Russell home unless you’re ready for a very awkward conversation with your children about the food chain in the animal kingdom. Healthy and sturdy. The good news is that this breed is generally considered to be among the healthiest of all dogs, and will likely live a very long and contented life if their needs are met. A Jack Russell may suffer from lens luxation (ectopia lentis), in which the eye socket is dislocated, or patellar luxation, which sees the dog’s kneecaps dislocate. Both of these conditions will require surgical intervention, but thankfully they are comparatively rare – even in this breed of canine. How Long Can You Leave a Jack Russell Terrier Alone? 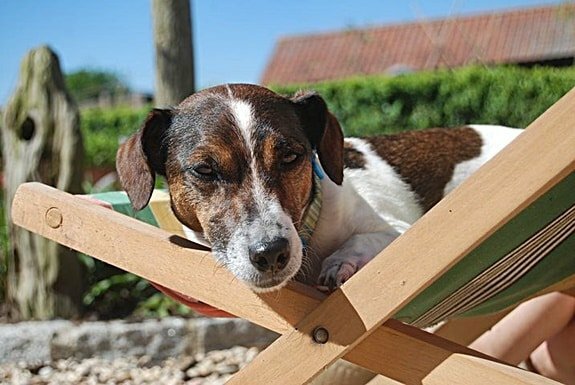 As our article on dog breeds that can be left alone during the day explains, a Jack Russell will not cope well with being expected to amuse themselves. If you expect to work for eight hours a day and return to harmony, think again. Your home will be torn apart, your neighbors will be fuming about all the barking that has been taking place all day, and your pet will let you know in no uncertain terms that you are not in their good books. You could follow our advice on how to break a dog’s separation anxiety, but even these tips may not cut the mustard with a Jack Russell. 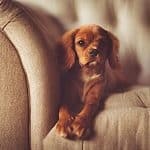 These dogs are so energetic and so intelligent that they will quickly become bored and frustrated, and before you know it, you’ll be asking how to stop your dog from chewing furniture. If you need to leave your Jack Russell at home alone, follow the following steps. Take them for a very long walk first. As we have already mentioned, Jack Russell’s need exercise – and if you leave your dog alone without giving them a decent run first, they’ll be even more frustrated and destructive. 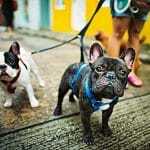 Take your dog for a long walk, and if you can, hire a dog walker to take them out again during your absence – and be prepared to take another stroll together when you return. Crate train your dog. Jack Russells are curious and mischievous by their very nature, so they’re likely to wander around the house getting up to all kinds of silliness while you’re not there to keep an eye on them. Training your Jack Russell to love their crate could keep them comparatively happy – and quiet! Check out our guide on how to crate train a dog that barks and whines for more information. Leave plenty of stimulation. Just because your Jack Russell is in their crate, it doesn’t mean they’ll roll over and sleep until you get home. You’ll need to keep their brains occupied with toys and games that are safe to use unsupervised and consider leaving your dog a snack or bone to nibble on to prevent their voracious appetite from causing them further anguish. Perhaps most importantly of all, don’t leave it too long before you return home. A Jack Russell shouldn’t be left alone at all, but if it’s unavoidable, make it a couple of hours at most. It can be a challenging pet, albeit one that’s hugely rewarding. Their high levels of energy are a great way of keeping yourself in shape, and they’ll never cease to amuse you with their shenanigans. Provided you have the ideal home set-up and can give this breed everything they need, then there is no reason why they will not become a constant companion. This makes it hugely advisable to pick up the best dog carrier for a Jack Russell and to bring them with you whenever and wherever you travel. Follow the advice that we have laid out in this guide, and you’ll benefit hugely from an amazing bond between human and dog. Just prepare yourself to be run ragged by these hugely energetic and excitable animals.